Black, white, and red all over is a fast and easy project that focuses on accurate cutting and pressing techniques. 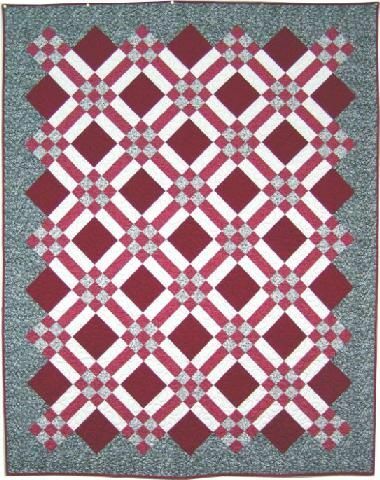 It uses half and quarter square triangles to set the design on point so there are no exposed bias edges for a smoother border. Three sizes to choose from.